At Karate Families, we’re all about bringing the whole family together to learn about karate, make memories, and expend some energy in a fun, healthy way. 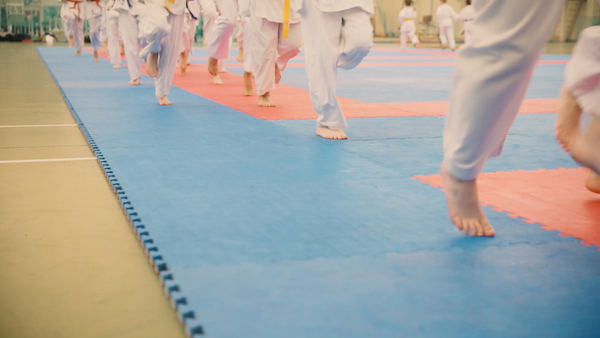 We encourage kids and adults alike to practice karate with us, whether they’re taking a class alone or together. Karate is a fun and unique way to connect with your kids, learn something new, and socialize with other adults! We offer a variety of classes for different age groups so that we can ensure the same age ranges are grouped together appropriately. 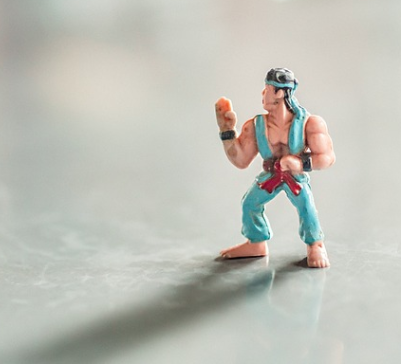 Our Little Ninja program is for kids 3-5 years old and utilizes fun games to teach kids the art of karate in a mentally stimulating environment. For ages 6-8, we offer Little Jr. classes. 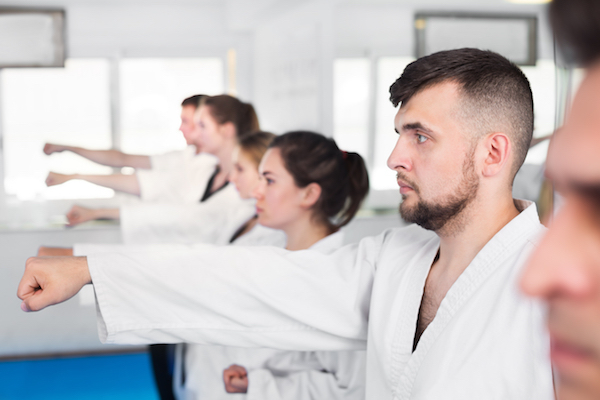 In these classes, we use a more disciplined technique to teach karate basics, hand-eye coordination, and strength training during an important time of development and growth! Self-defense, strength and balance training, and physical improvement are the focus of our Big Jr. classes, meant for ages 9-14. As kids grow into teens, we want to make sure they’re developing properly, as well as learning good exercise habits to carry them into adulthood. Black Belt Club is a more experienced class for ages 7 and up who have achieved brown belt status or higher. This class is invite-only and takes a serious approach to the skills and physicality needed to take and pass the black belt exam. Our Adult/Family classes are perfect for ages 15 and up! 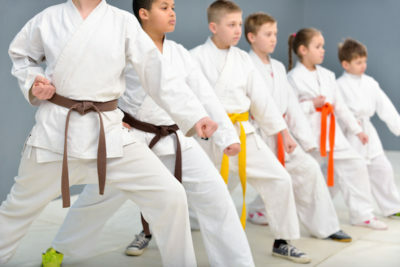 Children as young as 6 can join when they’re accompanied by an adult, and this is a great way for you to connect and bond with your kids in one fun class that teaches karate to all ages. 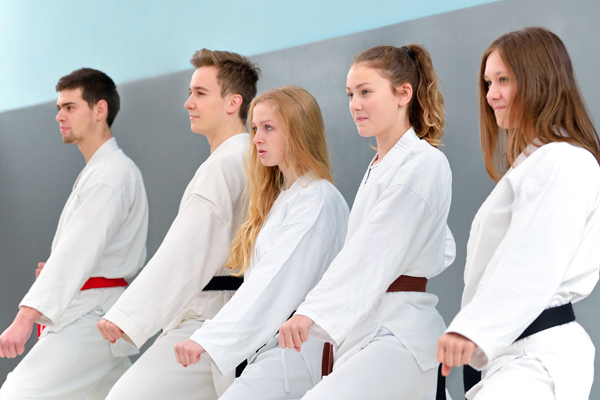 If you’re interested in finding out more about Karate Families and how you can get started today, contact us and speak to one of our friendly staff members. 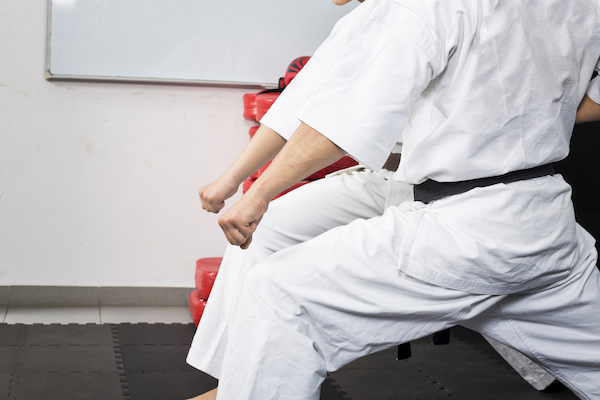 We’ll let you know the best class for you and help you to get started on you and your family’s karate journey!